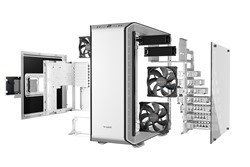 be quiet!, the market leader in PC power supplies in Germany for eleven consecutive years, announces a white edition of its highly acclaimed Dark Base Pro 900 premium PC case. 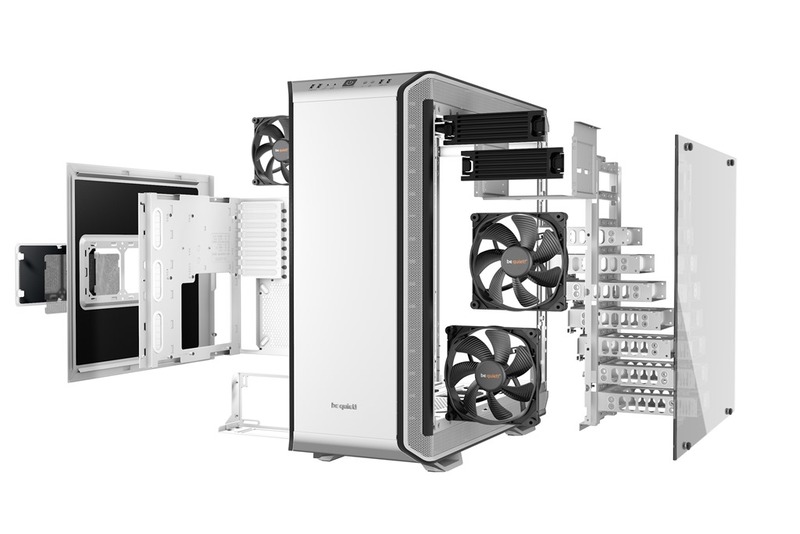 Limited to 2,000 pieces, Dark Base Pro 900 White Edition is the perfect choice for demanding enthusiasts wanting to exceptionally enhance the look of their next PC build. 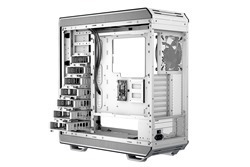 As the name suggests, Dark Base Pro 900 White Edition is coated in striking white color. 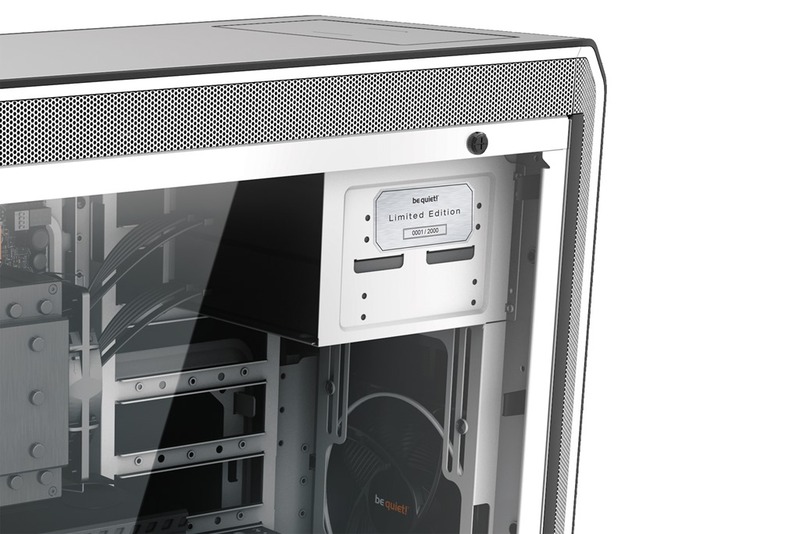 be quiet!’s designers focused on matching the white tones of different surface materials to achieve the case’s aesthetically pleasing and consistent look. To meet the new color theme, the side panel window’s tint was changed from soft brown to a light grey. 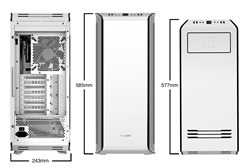 Each Dark Base Pro 900 White Edition is one of a kind and comes with a numbered aluminum badge, reflecting its limited availability worldwide and making it highly sought-after amongst PC enthusiasts. 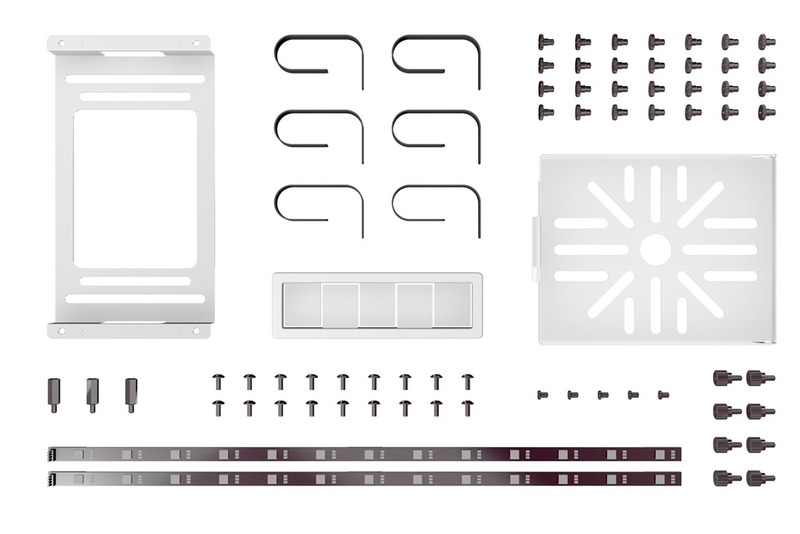 Dark Base Pro 900 White Edition leaves nothing to be desired regarding possible system configurations due to its modular design, enabling numerous possibilities for optimal component placement. 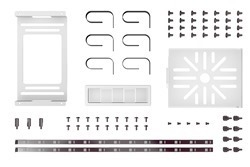 The removable motherboard tray can be installed in six different positions and accommodates all types of motherboard form factors, up to E-ATX or XL-ATX – all while fitting needed hardware components and accommodating cooling configurations perfectly without issue. 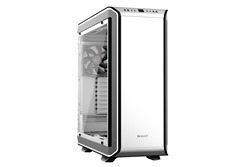 Dark Base Pro 900 White Edition offers unbeatable flexibility and compatibility, providing a perfect enclosure for enthusiast-level configurations, water cooling and overclocking builds, whisper-silent systems and higher-end workstations. 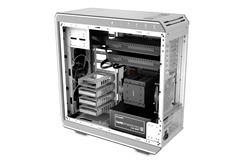 For storage components, Dark Base Pro 900 White Edition offers sufficient mounting space, making it possible to install up to 15 solid state drives, seven HDDs, and two optical drives. 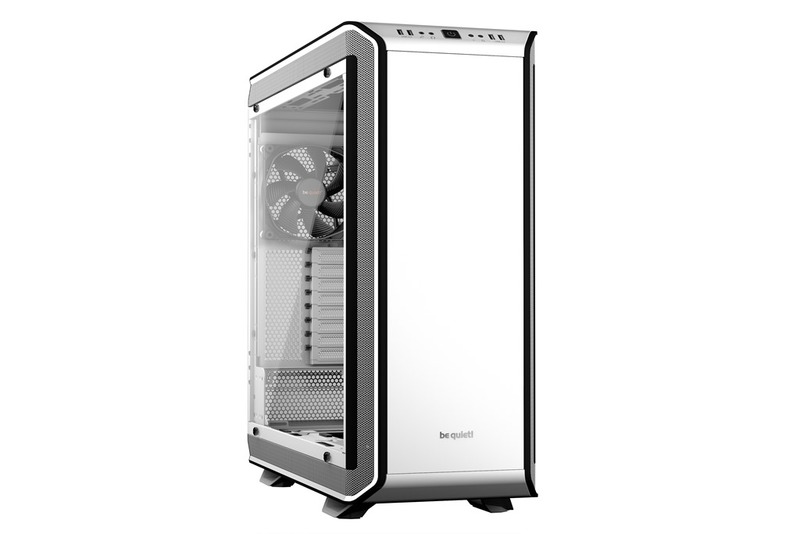 Three pre-installed SilentWings 3 140mm PWM fans make up another highlight of be quiet!’s flagship case and contribute to its sophisticated cooling concept and perfect airflow. With a unique rotor blade design, rubberized frame and funnel-shaped air intakes, these fans work silently and efficiently. At the same time, the 6-pole fluid dynamic bearing-based (FDB) motor reduces power consumption and vibration. 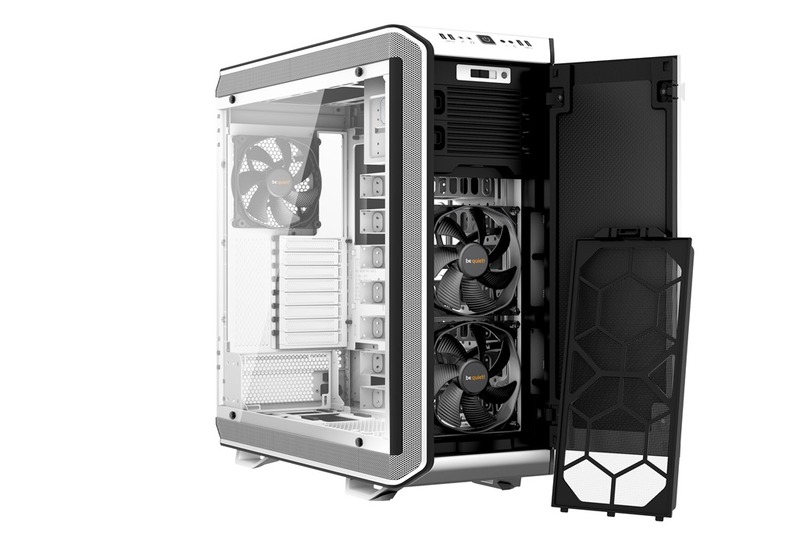 Dark Base Pro 900’s comprehensive airflow design is complemented by L-shaped vents in the case, leading to noise reduction and reinforced with insulating foam mats at the front, top and side along with specific decoupling mechanisms for key components. 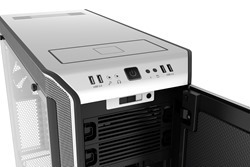 As an added bonus, the case includes a stepless fan controller, supporting four standard or PWM fans. Ample space is also provided in the interior, making the chassis suitable for powerful water cooling solutions using multiple radiators. 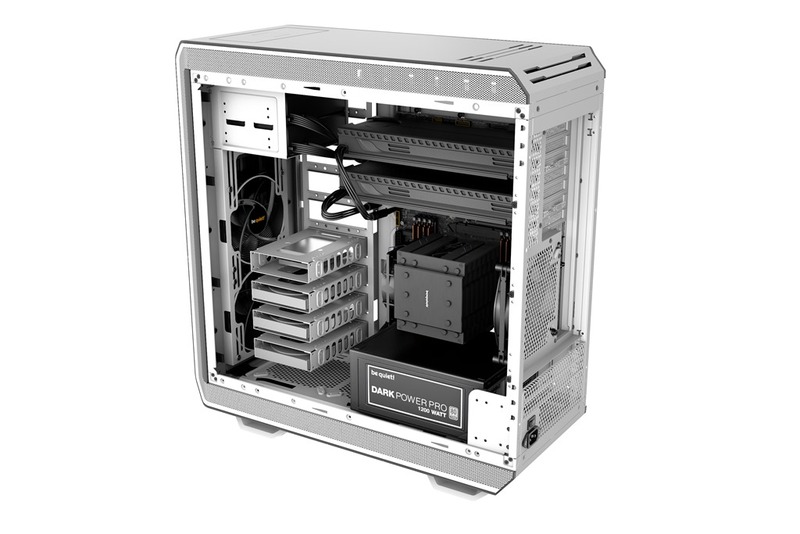 Dark Base Pro 900 White Edition is a technical masterpiece, and stands out due to its high-quality materials and design. Smooth aluminum surfaces and a robust steel construction lead to extraordinary elegance and stability. 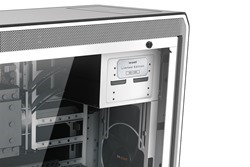 Additionally, be quiet!’s high-end premium chassis is equipped with a decoupled side window made of tempered tinted glass, includes easily positioned LED strips to illuminate the interior in five different colors, and an inductive charging station for wireless charging of smartphones and other Qi-compatible devices. 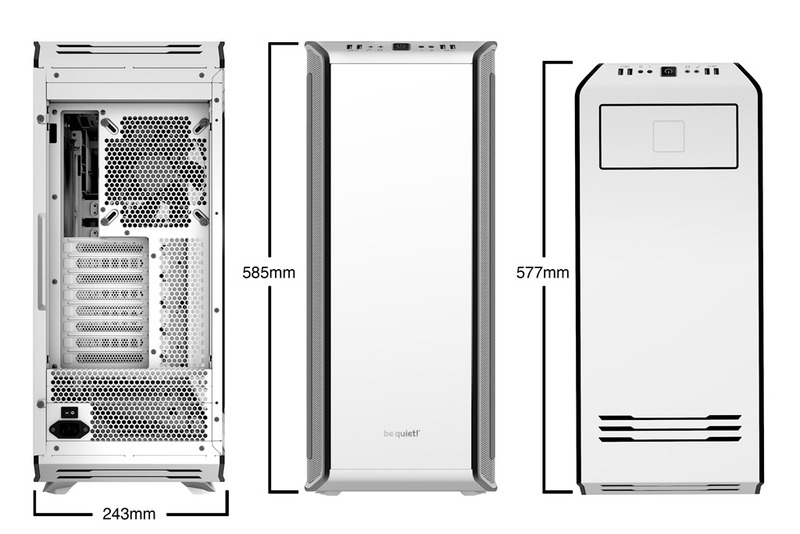 Dark Base Pro 900 White Edition is available for preorder in Europe immediately at a recommended price of €269 / £259 with delivery expected to start September 26th 2017. In the United States of America, sale of the Dark Base Pro 900 White Edition will commence September 19th 2017 at a suggested price of $259.